The first thing that pops into mind when preparing to write about this film, is the look and feel. For a micro indie film, it looks fantastic - and that is something I'll get more into down below. Plot? Basically, we are led to believe an abused woman has finally snapped, and as you may have guessed, killed her husband. If you're already shaking your head and thinking this is a review full of spoilers... you'd be mistaken. The murder is obvious from the trailer and even the poster art. What's not so obvious, is the slight twist that presents itself within. Quite quickly we learn there is more to the story. Our battered woman has not only acted for herself, but for their daughter as well. As the little girl seemingly gets bored waiting for her mother to return, she decides to find her and try and help with the grizzly work ahead; to the dismay of Mom. What follows is a few minutes of bickering and finally, in true parental fashion, the inevitable cave in that allows the little girl to stay. All this is achieved in a truly cinematic way, and it's already really short length of around nine minutes feels much, much quicker. The surprise ending may not be all that shocking, yet it does manage to leave you, the viewer, with a slightly cold feeling. Opening the door to thoughts regarding the aftermath of what just happened. The mental breakdown, and further thoughts of how your own mind might absorb the terrible things implied by this film. Those dark questions and general "feeling" you get after this title ends, is what makes it so dramatic and sad. It's not something I get to write all that often when regarding low budget movies, but writer, director Daniele Bergeson, with his talented cast of two, clearly managed to get everything right. This was a particularly well received short film for my humble mind. As I wrote above, the look of this film was fantastic. Crisp, well framed cinematography, mixing with an excellent use of color - combined to really make this an experience worthy of playing alongside anything with a much larger budget. I did actually notice the change in color grade during the ending sequences, and it felt just perfect. The "flow" of this picture also managed to feel just right. Keeping everything running smoothly from start to finish. What I'm basically writing is that the production and post production all felt polished and pro. The way it should be. Aimee Klein and Anya Clites, portraying this destroyed family, were excellent. The both of them. It took absolutely no imagination to believe and accept these two characters onscreen. There really is nothing more to say on the subject. Top notch overall. It's been tough writing about this title without giving away any of the really juicy plot details. As a short film, you really have to pick and choose what to write wisely. So to sum things up, using broad strokes, let me just write that this was a great little piece of fiction. 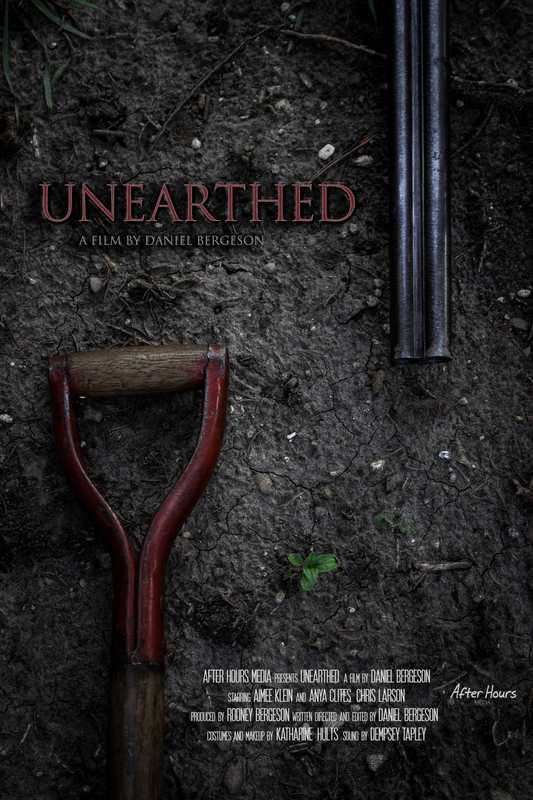 The real beauty, or horror if you will, is that "Unearthed" could just as easily "not" be a fiction at all. The world can be a scary place. Although this film is a drama, it works because your mind could easily slip into "horror" territory at any moment. Acting and production aside, this was just a really good story. Maybe not the most original story, but what ever is? We're hard-wired to be terrified and revolted by the same basic things. With that in mind, it's not hard to imagine why a tried and true formula always works when done right. When you have some time to kill, and this film becomes available, it's well worth the time and effort. This is an indie film that stands tall. A perfect example why "independent" doesn't always mean garbage.